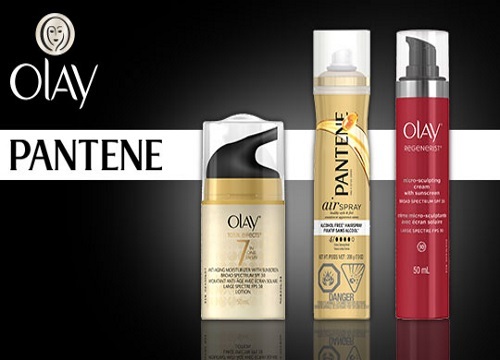 Bzzagent has a new Canadian campaign for Pantene and Olay! Look into your Bzzagent account to see if you were chosen to try out these three products for free! Pantene Airspray Alcohol Free Hairspray provides strong, brushable hold. It’s quick drying and has no ethanol, so there’s no stickiness, stiffness or strong alcohol smell. The NEW, lightweight Olay Regenerist Micro-Sculpting Cream is Olay’s #1 moisturizer, now fortified with SPF 30. It works to reduce the appearance of fine lines and wrinkles from day 1 so your skin won’t show your age. Olay Total Effects Anti-Aging Moisturizer is a newly formulated, lightweight moisturizer that visibly improves the look of your skin while fighting the 7 signs of aging, including uneven skin tone and wrinkles. Both moisturizers protect your skin from the sun’s damaging rays with new SPF 30 protection. If you're selected, you will be required to make a $2 donation due to Canadian law. If you aren't a Bzzagent member yet, click here to sign up. Bzzagent is free and you might be chosen to try out free products for review! We blog their Canadian campaigns whenever we spot a new out! I was told only $1 donation. That's all it asked for on my account.